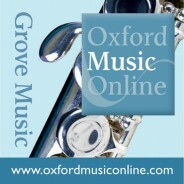 Oxford Music Online is the gateway offering users the ability to access and cross-search multiple music reference resources in one location. With Grove Music Online as its cornerstone, Oxford Music Online also contains The Oxford Companion to Music, The Oxford Dictionary of Music, and The Encyclopedia of Popular Music. This year, 2015, has been quite a year for Cuba. Starting in January with President Obama’s announcement that the United States and Cuba will re-establish diplomatic and economic relations, followed by Pope Francis’s visit to the island earlier this month, Cuba has been under the global spotlight. Most recently, 21 September marked a new economic era for Cuba with the implementation of new rules that will ease restrictions on American business dealings with the island, a move that many believe will have a mutually positive impact on travel, banking, telecommunications and Internet-based services, and other business ventures. It goes without saying that Cuba faces a future filled with unprecedented possibility. Thanks to the “informational materials” exemption by the Office of Foreign Assets Control, which allows for the movement of music and other objects of artistic and intellectual expression between Cuba and the United States, Sony Music announced on 15 September that after two years of negotiations, it has signed an international licensing deal to distribute the catalog of Cuba’s state-owned record label Empresa de Grabaciones y Ediciones Musicales (EGREM). Established in 1964 as part of the state’s efforts to nationalize the Cuban music industry, EGREM’s monopoly on music production for most of the twentieth century has enabled it to amass one of the largest collections of Cuban music in the world. Although EGREM has licensed portions of its catalog to independent record labels in the past, this is the first time a multinational corporation has been given access to a majority of its catalog, allowing SONY to distribute over 30,000 audio and video recordings on a global scale. With a catalog that includes artists such as Celina González and Ibrahim Ferrer (of Buena Vista Social Club fame) and groups such as Los Van Van and Irakere, this new agreement will not only enable Cuban musicians to promote their music internationally, but also invite other companies in the United States and abroad to invest in Cuba’s various culture industries. While Cuba’s post-revolutionary history is marked by isolation and restriction, the island’s cultural imprint has continually been felt throughout the world. Musical manifestations of pre-revolutionary Cuba include the international rumba craze of the 1930s and the subsequent emergence of genres such as Afro-Cuban (or Latin) jazz, the bolero, and mambo. While salsa’s origins lie in New York City and the genre is largely associated with Puerto Rican and Nuyorican musicians and culture, debates still persist as to whether or not salsa is really just “recycled Cuban dance music” (an extension of Cuba’s early twentieth century musical legacy). A cyclical phenomenon that can best be described as transatlantic feedback – in which musical idioms emanating from Africa undergo cultural appropriation in the New World, only to result in the rise of musical by-products that are then absorbed in further processes of musical hybridization by its place of origin – have informed the rise of largely Cuban-influenced genres such as soukous in the Democratic Republic of Congo. Cuba has continued to influence popular music production around the world amid the decade’s long US embargo. From the rise of genres such as cha cha cha in the 1960s, nueva trova and songo in the 1970s, and timba in the 1990s, to the establishment of festivals and conferences such as Cubadisco that set out to foster international relationships with Cuba through cultural exchange, Cuban popular music has thrived and circulated beyond the nation’s borders. Popular artists such as Celia Cruz and Gloria and Emilio Estefan along with other prominent Cuban-American industry leaders have played a pivotal role in the development of Miami as the Hollywood of Latin America. Moreover, the 1993 US Supreme Court decision to legalize santería animal sacrifices and the 1999 release of the critically acclaimed documentary, Buena Vista Social Club, has facilitated growing domestic and international interest in Cuban sacred, folkloric, and popular culture. So how will this new deal with Sony contribute to Cuba’s dynamic cultural history and how will it affect the island’s economic and political future? How will the growing embrace of Cuban culture in the United States impact its Latino and Latin American immigrant populations, the nation’s largest minority group since 2000? Sony’s current deal pertains to EGREM’s back catalog, so will future profits determine second phase efforts to sign and represent emerging Cuban recording artists? Only time will begin to address these questions. Nevertheless, it cannot be denied that the timeliness of Sony Music’s new partnership with EGREM, just six days prior to the US implementation of new regulations that aim to strengthen its relationship with Cuba, will springboard the island’s global impact both culturally and economically. image credit: Cuba. CC0 via Pixabay. Melissa Gonzalez is a recent graduate of Columbia University, where she completed a doctoral program in Music with a specialization in ethnomusicology. Her research interests include intellectual property, music industry studies, genre theory, the anthropology of the voice, and the musics of Latin America and the Latin American diaspora. She currently teaches at Hunter College and Montclair State University and is an ethnomusicology consultant for the Long Island Museum of American Art, History, and Carriages where she co-produces the Long Island Latino Music Series.